View photo gallery >A conservatory or orangery can breathe new life into your home, adding extra space that can be used for almost anything, from an office to a dining area or even a brand new kitchen. We can offer you a wide range of conservatory styles. Get a traditional look with the classic design of a Victorian or Georgian conservatory, or go modern with a lean-to. You can even combine styles to create impressive P-Shape and T-Shape conservatories. 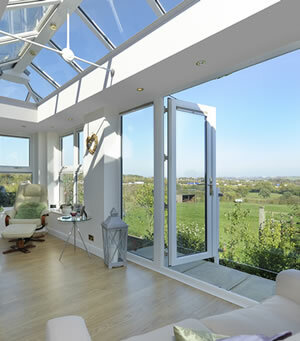 We also offer orangeries, a popular alternative to conservatories. With a brick exterior fitted with slim windows and a glass lantern roof, orangeries offer more privacy without compromising on light, and can be built to match the exterior of your house. As with our windows and doors, A Touch of Glass conservatories can be uPVC, aluminium or timber, allowing you to match the style of your beautiful new conservatory to existing windows and doors. 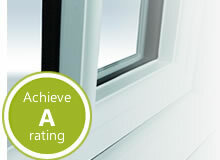 They can also be coloured to match your existing or new windows and doors. Choose from a range of colours and finishes to make your conservatory stand out from the crowd. Whether you are thinking about buying a brand new orangery or looking for a replacement conservatory speak to the team at A Touch Of Glass. 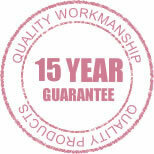 We can offer you all the advice you need and can even visit your home to discuss your requirements. Please call us on 08000 85 22 08 or contact us here to get started today.